This software implements a novel interaction technique 'Fold n' Drop' proposed by Pierre Dragicevic. 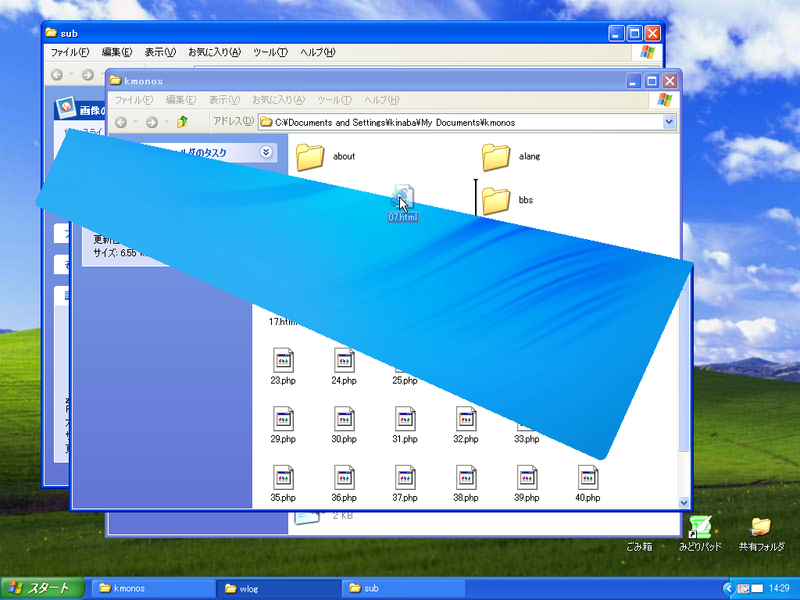 Using OriMado, you can "fold" the windows by mouse gesture while you are dragging and dropping some objects like file icons. 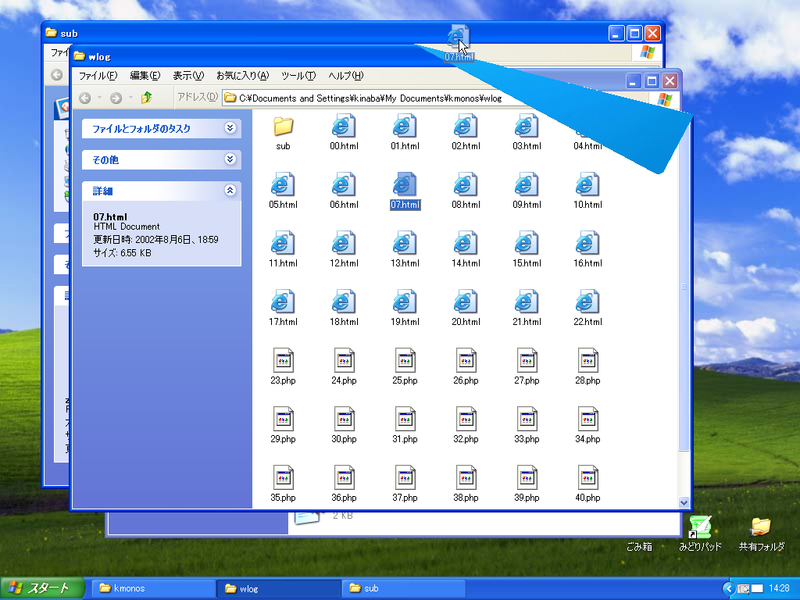 So for example, you can drag a file from Explorer window and drop it to another Explorer window hidden behind the start window in one action. "Ori" means "Folding" or "Folded" in Japanese, and "Mado" means "Window". 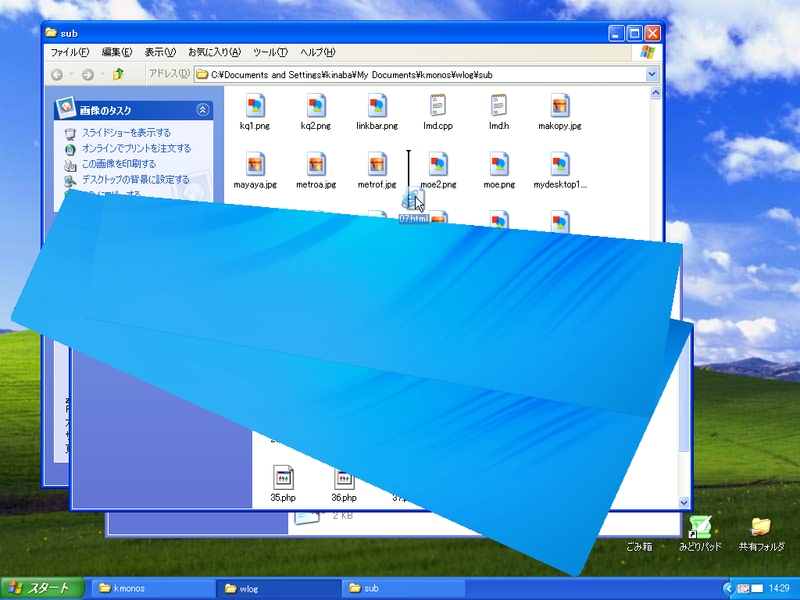 Launch OriMado.exe, then it'll stay in the taskbar. 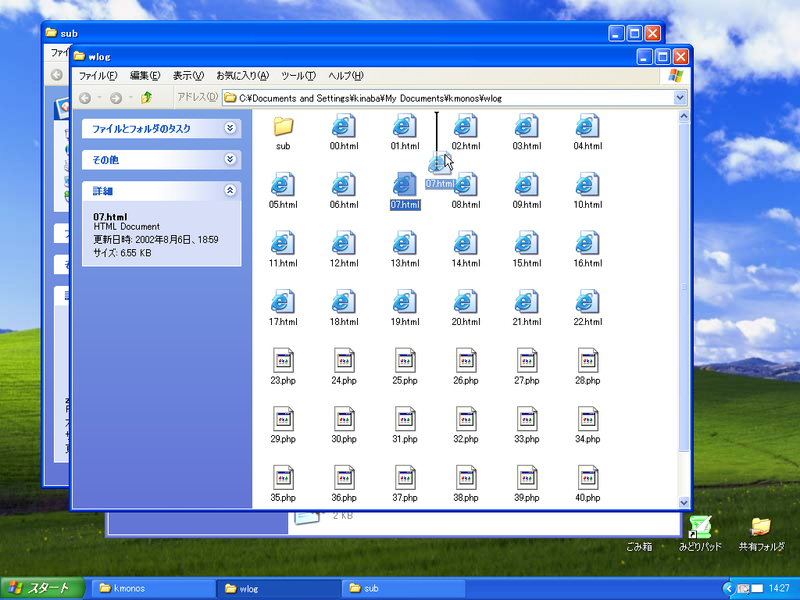 Now, you want to drag a file "07.html" from the topmost window "wlog" to the the behind window "sub". You have to take the window "wlog" away. But how? Then, OriMado automatially folds the window. Oh ! There's another window "kmonos". Of course you'll fold it in the same way. Now you can drop the file into the target window.